Mining is a hazardous occupation and can be tough on the lungs. With about 6 000 abandoned mines across South Africa, regulators are searching for answers to irresponsible mine closure, writes investigative environmental journalist Mark Olalde. The latest draft of the hotly debated Mining Charter does not deal with mine closure or funds for environmental cleanup. Open for public comment until August 31, the new charter only calls for companies to invest a small amount into research institutions that can study a wide-range of topics, one being "rehabilitation". The potential for solutions rests with the Department of Environmental Affairs (DEA), which is drafting new regulations that govern financial provisions for mine closure and that could fundamentally transform how cleanup is funded. As mines wind up, the system governing closure is meant to be failsafe, mandating companies to put up financial provisions on which the government can call for reclamation if companies walk away from their obligations. In reality, shortcomings in the system see small mining outfits holding insufficient funds as well as the responsibility for closure, adding to the list of abandoned mines that already litter the country. In 2015 Oxpeckers Investigative Environmental Journalism reported it could take R30-billion or more to remediate the derelict and ownerless mines (see No disclosure on mining's mess). DEA is working on draft financial provision regulations for mine closure, and several sources who participated in a May 24 planning meeting described the potential direction they will take. Tracy-Lynn Humby, a law professor at Wits who has extensively researched mine closure legislation, said she was surprised with the positive direction DEA laid out for the upcoming regulations. "DEA is trying to balance a lot of competing voices. They're not just giving into the mining industry, but it's a complicated endeavour and I don't think they've unpacked all the problems," Humby said. Previously governed by the Mineral and Petroleum Resources Development Act, financial guarantees and other aspects of mine closure now fall under the National Environmental Management Act. The amendment process has been in the works since DEA, the Department of Mineral Resources (DMR) and the Department of Water and Sanitation (DWS) began better collaborating under the banner of the One Environmental System in 2014. DEA published a round of draft regulations in November 2017, but the department confirmed that upcoming amendments will be "substantive" and will require further consultation. In the interim, a version that was promulgated in November 2015 remains in effect. In a statement, DEA spokesperson Albi Modise said, "The nature and scope of the amendments warranted that, for ease of implementation, the 2015 regulations should be repealed and replaced with the regulations that will be finalised in 2018." The next round is expected to come with more stringent requirements for transparency, including for auditing financial provisions, which will be proposed to occur every three years and to include "independent specialists", according to DEA. The department also began a process of better defining terms such as "remediate" and "rehabilitate" in hopes of reducing ambiguity around legal requirements. According to DEA's presentation at the May meeting, these regulations would apply to "a business rescue practitioner and a liquidator – they take over the requirement to implement rehabilitation", an idea that could compel ongoing rehabilitation in cases such as the abandoned Blyvooruitzicht gold mine and Golfview coal mine in Mpumalanga. Of particular importance, the draft regulations will call for elevated levels of funds, including enough to address "latent and residual environmental impacts", which will cover the pumping and treatment of polluted mine water such as acid mine drainage "in perpetuity". DEA is now deciding whether to allow the minister of water and sanitation to access financial provisions to pay for water treatment. In a statement, DWS spokesperson Sputnik Ratau said the department is working closely with DEA on the amendment process and is updating other regulations to align them. He added that financial guarantees should be a last-case scenario: "Rather than a total reliance on the financial provision instrument, a proactive stance that seeks to prevent or minimise impacts on water resources during the period of active mining is instead engendered." Christine Reddell, an attorney with the Centre for Environmental Rights (CER), said, "The system that we anticipate is coming with the new draft regulations is definitely better than the [Mineral and Petroleum Resources Development Act] system." While still a significant facet of South Africa's economy and identity, the mining industry has been in decline for years in response to factors ranging from depleted gold resources to thermal coal markets reeling from cheap natural gas and renewables. Mining peaked at 21% of gross domestic product in 1980, and the industry's employment reached its highest level at more than 760 000 workers in 1987, according to StatsSA. Now, the gold and coal sectors face an uncertain future, contributing to the fact that mining only contributed 7% of GDP and fewer than 400 000 jobs in the first quarter of 2018. As the industry contracts, proper closure, including environmental rehabilitation, becomes paramount. 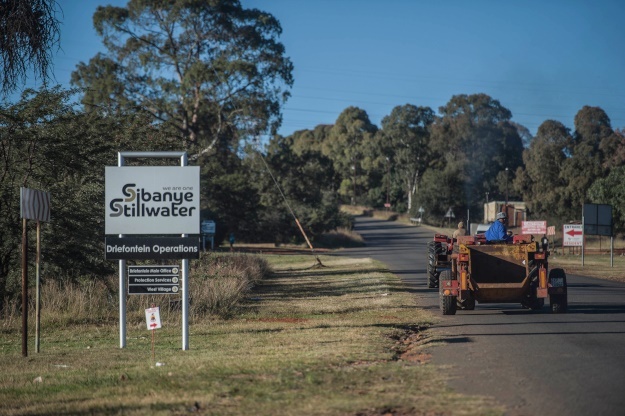 Oxpeckers' previous, award-winning investigations into mine closure exposed a broken system in which an estimated R60 billion is held in financial provisions but rarely, if ever, used for rehabilitation. Large-scale operations such as coal mines do not received closure certificates needed to shutter a mine legally, and improper mine closure has wide-ranging social consequences for adjacent communities. The drafting process has allowed for discussion of drastic change to address some of these shortfalls. In other mine closure systems, such as that of the US coal industry, companies put up similar provisions and earn back portions of their money in phases when they hit reclamation benchmarks. This both incentivises speedy closure as well as returns funds to companies that often operate on thin margins. While DEA will not allow financial provisions to be used for concurrent rehabilitation, there is talk of a phased return of these funds focused at the end of life of the mine if reclamation has significantly progressed. A number of additional issues remain even further in flux, and concerned civil society organisations anxiously await publication of the draft regulations. Of particular disappointment to many, DEA's brief attempt in the 2015 regulations to impose time limits on "care and maintenance" – which CER's mining programme head, Catherine Horsfield, called "a gateway to abandonment" – appears to have died under pressure from industry and the DMR. The faux-legal term refers to indefinitely warehousing mines instead of spending money on rehabilitation. "[Mining companies] leave their open pits. They leave their unrehabilitated footprints and partially reclaimed tailings storage facilities, and that, they claim, is care and maintenance. But it is absolute abandonment of their responsibilities," said Mariette Liefferink, chief executive of the Federation for a Sustainable Environment. In response to the 2015 regulations, several mining companies brought litigation against the government in September 2016, challenging the legality of both the regulations as well as a section in the National Environmental Management Act. The case – DRD Gold Limited and others vs. Minister of Environmental Affairs and others – is on hold while the parties await the new regulations. Industry pushback also led to regulators extending the deadline for older permits to comply with the new regulations until February 2019. "That [deadline] gives us an indication of how urgent it is that they finalise these regulations," Reddell said. The Minerals Council South Africa, which represents the majority of the country's mining industry and was previously called the Chamber of Mines, did not respond to requests for comment on its engagement with the regulatory drafting process. Wits's Humby said the upcoming regulations fail to address one major issue: the DMR. Financial provisions would remain in the hands of the DMR, which has not shown evidence that it has ever successfully used this money for environmental rehabilitation. "[The money] goes into this black hole of what appears to be a completely dysfunctional department," Humby said. "It's like a punishment, rather than incentivising companies to develop innovative closure technologies." The DMR did not respond to requests for comment on gaps in the country's mine closure system. With the focus on terrestrial mining, observers worry DEA will leave the offshore oil and gas industry out of the upcoming regulations instead of searching for solutions to address the complicated rehabilitation of marine infrastructure. "The concern is [offshore oil and gas] might be given a free pass simply because it's too expensive to put up provision," Horsfield said. In April, Environment Minister Edna Molewa amended the regulations to delay that industry's compliance deadline until 2024, and CER and others remain in the dark over the future of regulating offshore activities. DEA's Modise said legislation allows that "financial provisioning requirements could be made relevant to other sectors. However, there will not be an immediate expansion. It is important to finalise the dispensation for mining before expansion to other areas can be considered." 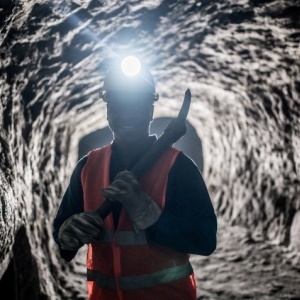 Amid the debate over mine closure, CER and Intellidex, a financial research firm, recently released a report – titled "Full Disclosure: the truth about mining rehabilitation in South Africa" – that takes an in-depth look at financial provisions. The study found significant issues concerning transparency, liability calculations and opportunities for public participation that any new regulations will need to fix to be considered successful. Orin Tambo, a senior financial analyst at Intellidex who co-authored the financial provision research, said the project began as an exercise to analyse publicly available financial information from 11 coal and platinum mining houses listed on the Johannesburg Stock Exchange. "In the process, we actually discovered that there were gaps and holes in the disclosure of the companies reporting the rehabilitation," he said. The report found that "neither the law, nor the accounting standards governing company disclosures" went far enough to push companies toward useful levels of transparency, as a result making it "impossible for shareholders or taxpayers to hold companies or regulators to account". Companies often lumped together the liabilities or the rehabilitation funds from their various mines while eschewing detailed descriptions of cleanup costs, making it impossible to draw conclusions on the adequacy of financial provisions. "This system has failed in South Africa…We cannot easily tell how much money is held for rehabilitation, where and how it is held, who administers it, who has access to it, how it is spent, who calculates it and how it is calculated," the report said. Ever-present in mine closure research is the question of whether enough money is set aside for reclamation. The report found that seven of the 11 companies – potentially indicative of a larger industry trend – still rely on the "Guideline Document for the Evaluation of the Quantum of Closure-Related Financial Provision Provided by a Mine" when calculating the level of money needed in a financial provisions. That document has not been rewritten since it was published in January 2005, even though it calls for an annual update to the section that lays out methods of calculating levels of financial provisions. While the rand to dollar conversion in January 2005 was about R6 to $1, that ratio is now roughly R13.50 to $1, indicating the significant shortfall that could result from relying on the outdated document. CER's recommendations addressed numerous issues, with fixes including publishing a national dataset of financial provisions, disclosing the experts who calculate these guarantees and their qualifications, identifying the trustees who hold the keys to opening certain types of provisions and basing liability estimates on actual costs instead of the 2005 guideline document. Horsfield believes the scope of the regulatory amendment process could push South Africa's governance of mine closure to unprecedented, progressive territory globally, if done properly. "No one in the world has done this before," she said. Mark Olalde is an associate of Oxpeckers Investigative Environmental Journalism and a freelance investigative journalist. Read more at oxpeckers.org.